HOLLYWOOD, LOS ANGELES -- Members of hip-hop group Cypress Hill are capping their successful 30-year career by making history: They'll be receiving a star on the Hollywood Walk of Fame. "We are proud to honor the first Latino American hip-hop recording group," said Ana Martinez, producer of the Hollywood Walk of Fame. "They have been successful as a group for three decades and we know they will continue their success for many years to come." The Grammy-nominated group, originally from Southern California, recently released their ninth studio album, "Elephants on Acid." 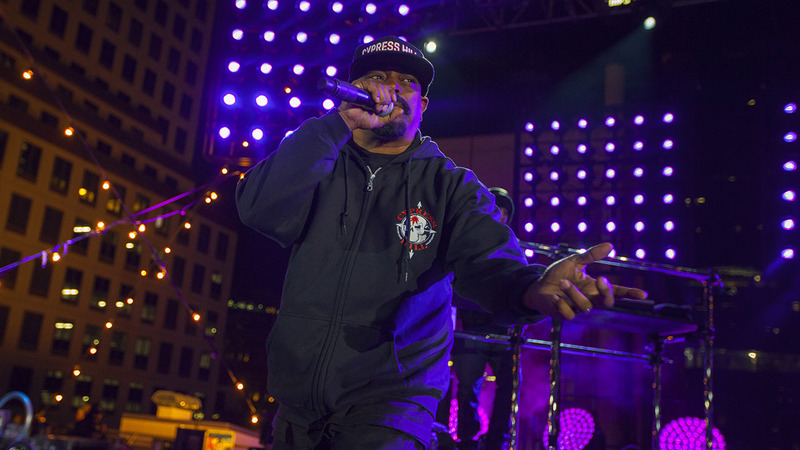 Sen Dog of Cypress Hill performs at the AT&T AUDIENCE Network Presents: Live From Austin at SXSW, during the South by Southwest Music Festival on Saturday, March 19, 2016.